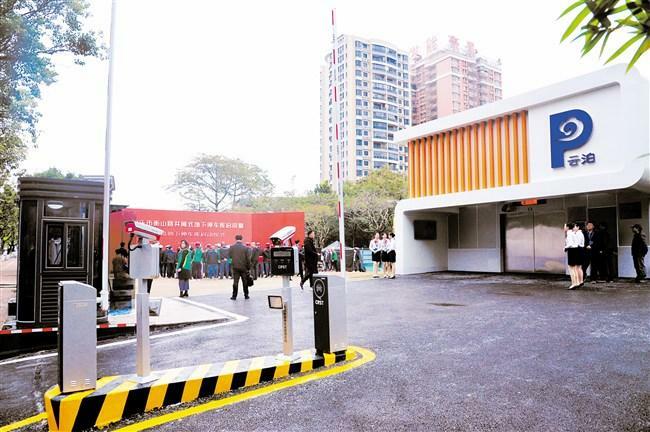 On the morning of January 16, the city's first shaft-type underground parking garage, Hengshan Road Shaft-type Underground Parking Garage, officially came into use and the construction of the first batch of underground parking garage projects was fully started, marking a new breakthrough in solving the city's parking problems and pushing forward the improvement and upgrading of traffic environment. Since last year, by taking the creation of the National Civilized City as the driving factor and innovating the work way, the city has formulated a plan to construct a number of underground parking garages. The first batch of shaft-type underground parking garages in the construction plan has 8 in total, respectively located at the green space edge lands in the areas including the intersection of Hengshan Road and Hanjiang Road, Xinghu Park, Dongfang Park, Xingzhou Park, the intersection of Hengshan road and Zhongshan East Road, Jintai Garden, Huashan South Road Community Sports Park, and Xinghu City. The total project investment is 250 million yuan, more than 860 new parking spaces are planned, and all the spaces are expected to be completed and put into use by the end of 2019.